Nick Clegg and the yellow revolution. Who’d a thunk it? 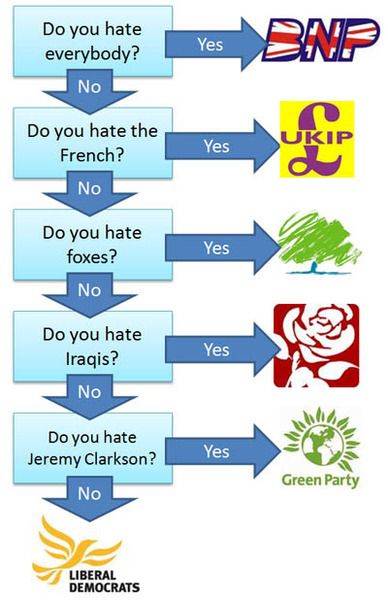 Last week, during the leader’s debates, we heard a lot about the various people Mr Cameron had met. There was much amused twittering about his anecdotage. (Not that he was entirely on his own with this rhetorical strategy.) You can imagine that his advisers might have mentioned it after the event. That seemed a little forced Dave. Or maybe they didn’t. And maybe after the heat of battle has faded it didn’t seem so bad again. Maybe worth trying it again next time. 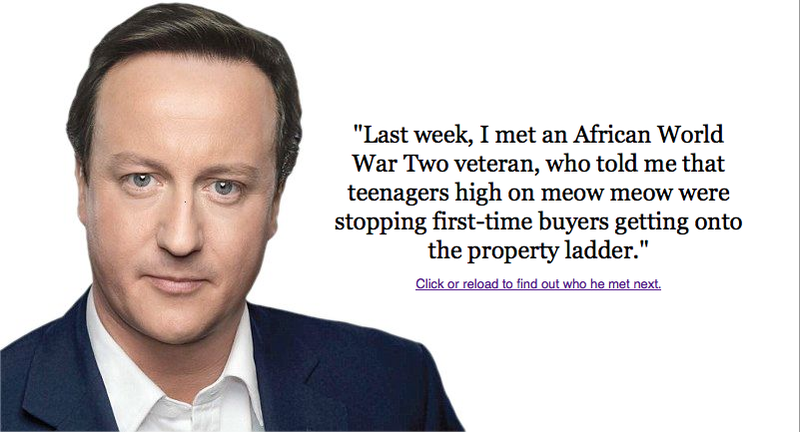 And then the David Cameron Anecdote Generator arrived. Very clearly and virally pointing out what he was doing. I think it’s possible, that even though most people in the country haven’t seen this, it’ll have a nagging influence on strategies for the debate. How can you persist in a technique which has been so thoroughly skewered? We shall see. 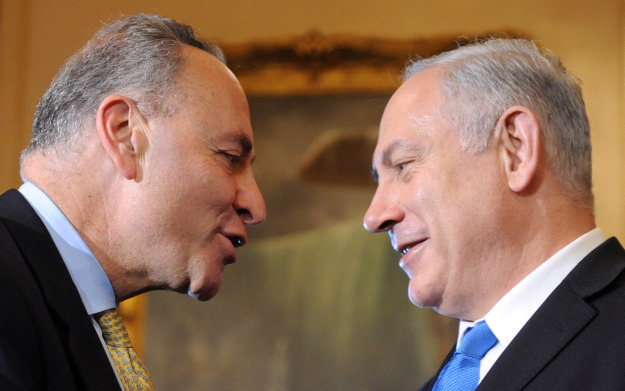 Has Chuck Schumer Ever Criticized Israel or its Leadership in the Way He Just Unloaded on Obama? Schumer’s screed gets to the edge of sounding as if he is more a Senator working in the Knesset than working in the United States Senate.